My goal is to help you take insurance off your worry list! 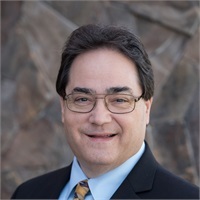 Joe Partise began his career as a Life Insurance agent, firstly with Pacific Mutual Life and later with State Mutual of America. From there, he joined Barry Kaye Associates, one of the Nation's leading insurance organizations as a leading sales associate and personal assistant to Mr. Kaye. In 1988 he established his own firm and built a successful business in insurance and financial services. His current practice involves traditional life and health insurance planning, as well as Charitable & Estate Planning for business owners and families. He earned his Chartered Life Underwriter's designation from the American College in 1996 and has moderated numerous CLU and LUTC classes over the last several years. He is a member of the National Association of Insurance and Financial Advisors and the Society of Financial Service Professionals and served the local chapters as President. He is also a member of the National Association of Health Underwriters. In 2006 he served a two year term on the Board of NAIFA CA in order to work for the Association on a statewide level. He has served in a leadership capacity within Rotary International, as well as numerous non-profit organizations, foundations and Charitable Trusts. He was named "Man of the Year" in 1995 for the City of Los Alamitos. He and his wife Helen have raised two children and currently reside in Seal Beach, CA. When not helping his clients, he spends time as a jazz and pop pianist, entertaining people around Southern California.